Sara has been in the profession of ‘people’ her entire life. Growing up in the hospitality industry and subsequent world travel gave Sara a strong foundation in ‘people skills’ and living outside the box. 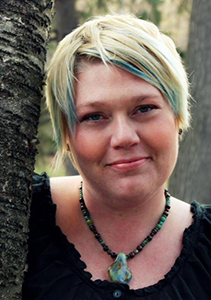 In 2001 Sara graduated from Prescott College with a degree in Counseling Psychology and Equine Experiential Learning. Prescott College’s motto of “Education is journey, not a destination” set the bar for Sara, encouraging her to never stop learning, growing and living! Sara has worked in the horse industry for many years in many capacities which included certification as a Therapeutic Riding Instructor, training with the Equine Assisted Growth and Learning Association and Program Director for a therapeutic riding center that also focused on Equine Experiential Learning and Corporate Team Building. 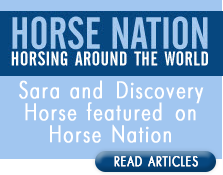 Sara has been an instructor at the college level and continues to grow and learn as a horse professional. Sara is graduate of Melisa Pearce’s Equine Gestalt Coaching Method™ certification program. When not working in the horse industry Sara has worked in child welfare, youth and adult addiction recovery, was facility coordinator and program manager for a juvenile detention center and worked in adult mental health for 5 years. Read more about Sara and her story on the Touched by a Horse The Equine Gestalt Coaching Method® website. Watch this video to hear what Melisa Pearce says about Sara. The Equine Gestalt Coaching Method™ was developed by Melisa Pearce, a core founder since 1989, of the horse-human healing movement. The experiential nature of the method involves the horse as an active partner with the coach in the client’s exploratory process. The integrative approach of the equine’s interaction combined with positive coaching, somatic awareness guidance and Gestalt methodology, assists the client in examining their life and choices made with a focus on designing a positive future. It has become glaringly obvious that no matter how I present the horse’s role in this work, I am misunderstood. So let me be clear. We do not ride the horses. This is not just for ‘horse’ people. It is for people. Plain and simple. This is not about horsemanship. You don’t need cowboy boots, and prior experience of any kind is not necessary. Horses are awesome, you don't need to love them to learn to love yourself, but they'll help. I truly hope that is clear enough. Wait . . .FEAR. That is generally a big one. If you are afraid of horses, then there is even more reason for you to come work with us. That fear is real, I know, horses can be big and scary. And what is also hidden under that fear is a most powerful and beautiful gift. What does that horse represent . . I have an idea, and if it turns out I am right you are going to want to test the waters. And I may be totally wrong, regardless, you don’t have to touch a horse but they will ask you to touch your soul. 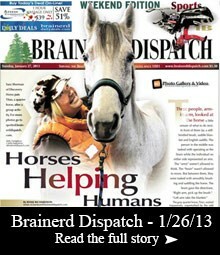 Please click HERE to learn more about why I partner with horses and what their role is in this work.